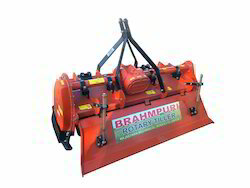 Leading Manufacturer of rotary tiller for agriculture industry, multi speed rotary tiller and agricultural rotary tiller from Jaipur. Based on the skills of our adroit professionals and creative workers, we bring forth an extensive range of Rotary Tiller for Agriculture Industry. Our offered products is suitable for every kind of soil and these products available in both side gear driven and chain driven. 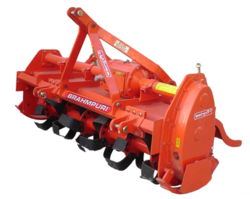 The BRAHMPURI Rotavator / Rotary Tiller produces a fine seed bed with one or two passes before and after rain. It is most suitable for the removal of stubble sugarcane, wheat, banana, cotton. which enhance germination and growth of crops. The contents of this catalogue are only giving information to the end user without engagement from our side. We make use of best raw materials at hand which are processed in fully automated machines and manned by aced labour to give you the world best quality. We make these as per industry's rules and regulation and our range is acclaimed at international level. 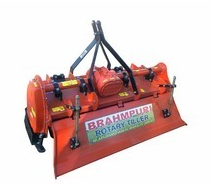 Rotavator is available in different sizes as per requirement. 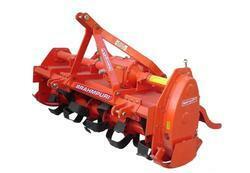 Our Multi Speed Rotary Tiller is suitable for every type of soil. It preserves moisture of the soil and increases organic structure by mixing residual of previous crop. It saves fuel cost due to smooth and trouble free operation and less load on tractor. We are manufacturer and supplier of agricultural implementations, we are manufacturing an exclusive range of Agricultural Rotary Tiller. The ultimate quality of the Rotary Tiller has made them one of our most sought after products. 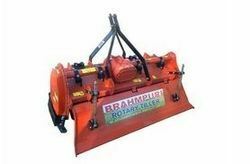 We have been able to place ourselves amongst the famous Rotary Tiller Manufacturers and Suppliers in India. Tractor Rotary Tiller forms an important part of our unique Tractor Tiller.